Today both men and women are facing hair loss and baldness. None of us want to have bald patches on our heads. However, in spite of a few promising solutions, many prefer to compromise on their looks and confidence. When it comes to hair restoration treatments, the first thing that comes to our minds is a hair transplant. But not many know that there are also other, more affordable hair restoration options available in the market. One such treatment is the Platelet Rich Plasma Treatment, better known as the PRP treatment. For this, you will first need to understand what PRP is. Platelet Rich Plasma is concentrated plasma from your blood that has 3-5 times more platelets than usual. To get this, expert hair doctors take a small amount of your blood and run it through a centrifuge that separates out the different components of your blood. The plasma-rich solution is drawn from this and then injected into your scalp with poor hair growth. The injections may sting slightly but a topical anesthesia can be used to reduce any discomfort. Your hair will be cleansed after this. As the treatment is completely natural and doesn’t involve any surgery, it has almost no side-effects. In fact, you will be able to freely drive home right after the procedure. It is also a relatively short procedure that takes about 60-90 minutes. How does PRP Treatment help reduce hair fall? After your blood runs through a centrifuge, the resultant solution is not only rich in platelets but also growth factors like VEGF, TGF, IGF, EGF, and IL, along with bioactive proteins. Each of these help repair damaged tissues and stimulate hair follicles to help hair regrowth. PRP can help hair roots grow faster and improve the development of hair follicles. It reduces the shedding phase of your scalp and enhances the growth phase as well. PRP can also stimulate stem cells to turn into follicles and improve hair regrowth. It usually takes 6-12 months for you to be able to observe results. Kaya expert hair doctors usually take measurements of the response of your scalp every three months. This is to help notice the change in your Hair Mass Index (HMI). The HMI helps predict when you will be able to see results visually. The PRP hair treatment can be repeated until you achieve the desired results. When the HMI starts to decline, Kaya expert hair doctors will recommend another session of PRP for hair. The procedure can be repeated every 3-6 months. What are the benefits of PRP for hair loss treatment? The most common reason why PRP attracts customers is that it is a quick procedure that doesn’t involve surgery. Along with this, it has no side-effects and also stimulates hair regrowth faster than any other hair thinning solution. While a hair transplant may be a painful process that needs extra care, PRP allows you to comfortably return to your daily activities without much trouble. Compared to a hair transplant, this is an extremely simple procedure. Instead of taking hair samples to prepare grafts to transplant them into your scalp, PRP treatment only needs a sample of your blood. Kaya’s expert hair doctors and expert dermatologists are helping people fight hair fall in many parts of the country. Approved by US FDA, this treatment is safe, non-invasive, and uses your own blood to perform the procedure. If you want better results, you can always combine the PRP treatment with other hair loss treatments like a hair transplant. You can always check reviews and feedback from previous customers who have undergone the procedure from Kaya Clinic to gain more confidence and learn more about others’ experiences with PRP. Losing a lot of hair is a big problem. If you're actually going bald and are considering a hair transplant, do some research on the many clinics that offer this procedure. Make sure that the clinic and the surgeon carrying out the procedure have a good reputation and can provide the best service in a safe environment. When you make the decision to opt for a hair transplant to cover your baldness, you need to spend some time doing substantial research. Remember that hair transplantation is a surgical procedure, so you need to find a good surgeon with a good support team, in a clinic that maintains the highest standards. You should not be able to fix your surgery appointment over the phone the first time you call the clinic. They should ask you to come for a consultation first. When you go for the consultation, a doctor should examine your scalp, analyze the possibility of getting enough grafts to cover the bald patch and then advice you if you are an ideal candidate for hair regrowth by hair transplant. The surgeon should ask you what results you expect, and how much coverage you want. He should inform you of the realities. Remember, the hair to be transplanted will be taken from your own head. The surgeon is limited by how much hair you have in your donor region. After understanding your expectations, he should tell you what can be done and the realistic results you can expect. The doctor should also note down your medical history, any regular medications you are taking, any allergies you have and if you have previously had any allergic reaction to an anesthetic. He should enquire if you have any blood clotting issues. If you do not know, the doctor should recommend tests to determine factors like blood clotting time. The surgeon who will perform the procedure should tell you the hair transplant method (like FUE Transplant or FUT Transplant) that will be used, and make you understand how it works. Check if the surgeon is a member of a reputed international hair transplant surgeons organization, Search for client testimonials at the clinic’s website, find and read online reviews about the results of the hair transplant procedures carried out by the surgeon. Ask the clinic how many surgeries that surgeon has successfully completed. 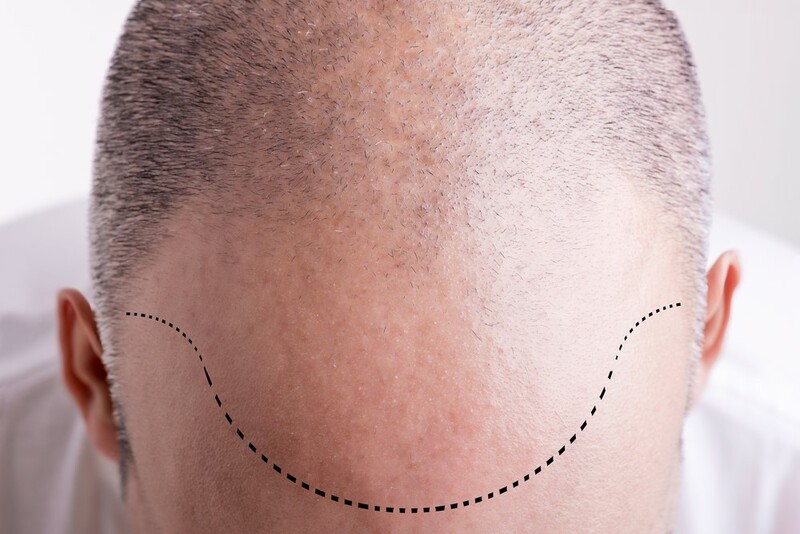 The surgeon also needs to be an artist, to be able to imagine and plan out optimal placement of the hair grafts on the bald area so that it provides the best possible coverage and looks very natural. Look at the clinic’s albums with photos of patients before and after the surgery. See how well it has been done, and how natural the transplanted hair looks. Ask to see some client testimonials. The surgeon should have a good support team of anesthetists, nurses, technicians and so on. The team should also be trained in emergency procedures to respond quickly in case something goes wrong. The clinic should have a great reputation for its services, and the OT should be clean, hygienic and well equipped not just with the equipments for the hair transplant but also with emergency equipment. The facility should be maintained to the highest standards in quality, hygiene, and safety. Hair Transplantation is an expensive procedure. Do not be lured by advertisements of hair transplants performed for very cheap prices. Remember, you get what you pay for. If you have done good research about the clinic and the surgeon and they have a very good reputation, the procedure will be expensive. But the cost is worth it to have a better chance of good results. Getting a hair transplant is a big decision that should not be taken in a hurry. Kaya Clinic is a well established chain of skin and hair care providers. They have maintained high standards in all their treatments and their products. Kaya Clinic uses Follicular Unit Extraction for hair transplant. Search for a reliable Kaya hair transplant review online. When you go for a consultation at Kaya for hair loss, they don't immediately suggest you go for a hair transplant. 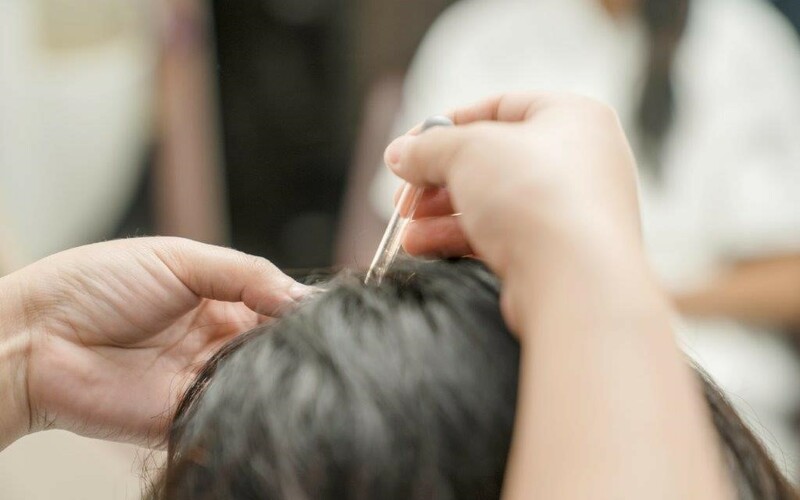 They perform a scalp examination and if your hair loss problem can be remedied by a non-surgical treatment, they will tell you so and recommend a course of treatment. Only if your baldness is severe and there is no other alternative will the doctor recommend a hair transplant, that too if you are an ideal candidate. Enquire about Kaya hair transplant cost. Kaya Clinic allows you to pay per session. They also offer a financing plan to help you pay for the procedure in easy EMIs. One of the factors that determine the health of the hair is the hair density. Having strong healthy hair is a sign that your hair is in good condition. With several brands coming up with products, maintaining healthy hair has become easier. All you need to do is choose the right brand. One of the issues with hair that most people face is hair thinning. 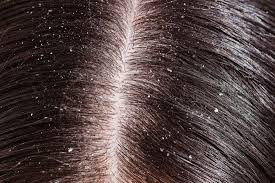 It causes a reduction in the density of the hair and in some cases, there is visibility of the scalp too. The widening of the hair partition is also a sign of hair thinning. This is often noticed in women between the ages of 25-30. It is important to take active steps to find out the cause of hair thinning. The first step is to identify the cause of the problem. It can be due to environmental factors, lifestyle, eating habits or due to genetics. If it is due to the lifestyle habits, along with going for hair treatment, it is imperative to ensure it doesn’t happen again. Unhealthy food habits are also one of the main reasons for issues like hair thinning and hair fall these days. Hormones are also one of the reasons behind hair thinning. When you visit the dermatologist they can help you determine the cause and direct you to the best course of action to make your hair healthy again. One of the brands that are known for their good skin and hair care brands is Kaya. It is also recommended by most dermatologists today. They have several treatments targeting hair regrowth as well. They have simple procedures that show positive results as well. PRP for hair was recently recognized as a great means to tackle hair loss. Apart from that, there are two great hair therapies to treat hair thinning in women. There can be multiple underlying causes for the loss of hair density. The lack of the required vitamins, minerals can lead to hair fall and eventually hair thinning. Hair thinning solutions make it essential to bring back the density to the hair. Intensive root therapy is one of the ways in which thinning hair can be treated in both men and women. The treatment will check the hair loss by running tests. It then promotes and supports hair growth by supplying the essential nutrients to the root of the hair. By targeting the root of the hair, hair thinning is directly dealt with. More importantly, the supplements used are all FDA approved. They are made up of natural extracts from plants and vitamins that are known to stimulate growth in hair. The procedure involves injecting the hair roots with microinjections. It is a painless hair thinning solution that is found to be very effective. Positive results can be observed within 2 or 3 months after you start undergoing the treatment. This is another hair treatment that is known to have a positive effect and bring about regrowth in the hair. There are charged ions used in this treatment to deliver a mixture of the vital nutrients through the skin. This mixture of nutrients will tackle hair loss and hair breakage from under the skin. The hair loss treatment also involves a balanced diet to deal with hair thinning. The entire approach involves using supplements that are filled with nutrients to protect the hair follicles from damage and nurture them back to health. Nutraceuticals work best when coupled with a balanced diet. These two hair regrowth methods are tested and proved effective. Expert hair specialists perform these treatments. Kaya hair care comes with several products for hair fall. You can consult a specialist and undergo the treatment for hair thinning solutions. Hair growth on the face, on your hands and feet etc., can be a problem as it prevents you from having a smooth, blemish free skin. So many methods are employed in removing unwanted hair, but which one should you choose? For a long time now, women and men, have been using different hair removal methods to control hair growth on the face and body. These include waxing, shaving, etc. All of these involve varying levels of pain and discomfort, and you will have to repeat these treatments frequently. Waxing can prevent hair growth for a longer time, but even with this, hair does grow back soon. These methods can also result in side effects like ingrown hair. Laser hair removal uses laser beams to target hair roots. The laser beams heat up the hair follicles and destroys them. Because the follicles are destroyed, hair regrowth becomes extremely slow. Laser hair removal can be used safely on the face. ● While laser treatment is an expensive procedure, in the long term, it can save you a lot of money you would otherwise need to spend on frequent threading, tweezing, shaving etc. At Kaya, technicians trained and certified in using laser technology for hair removal perform the procedure in a safe clinical setting under the guidance of dermatologists. So, you can be assured of a professional, safe service. You can read Kaya skin clinic laser hair removal reviews online to learn about other people’s experiences. Laser hair removal used to work only on fair skinned people with dark hair. This high contrast was needed to keep the skin safe. However, advances in laser technology has now resulted in new techniques that make permanent laser hair removal treatments effective and safe for use even on darker skinned individuals. Kaya Clinic uses the US FDA approved ND-Yag Laser Treatment. This laser technology is deemed safe for use on Asian skins and also for darker skinned people. The expense and the many sessions involved in laser hair treatment may make you hesitate, but the long-term advantages make it all worthwhile. Enquire about current Kaya skin clinic prices for laser hair removal. There can be many causes for hair loss, and hair loss can be temporary or permanent. It is important to identify the type of hair loss and its root cause in order to determine the best treatment for it. Hairloss can have many causes like pollution, exposure to heat and dust, infections, heredity, hormonal causes etc. Hair normally goes through a growth cycle, and groups of hair on your scalp may be in different stages of growth. The first stage is Anagen or growth phase which can last for up to seven years. Around 70 to 80% of your hair is in this phase at any time. The second is the Catagen or transitional stage, when hair slowly progresses from growth to the rest phase. Catagen usually lasts only up to a week or so. The third is the Telogen stage which is the resting phase for hair, hair shafts and follicles become thin and eventually fall out, inducing new hair growth This period lasts for upto 3 months, after which these hair return to the Anagen or growth phase. This occurs normally with age. As you become older, more of your hair goes into the resting or telogen phase. Because of age related factors, even the hair that is not in the telogen phase become thinner and brittle, causing more hair loss. This condition is normally the side-effect of chemotherapy or radiation therapy used to treat cancer. This causes hair in the growth phase to fall out. This condition is mostly temporary and the lost hair grows again after two or three months. A sudden disruption in the growth cycle causes more hair to enter the resting or Telogen phase, resulting in thinner hair that soon fall out. This is generally caused by physical stress that is the result of factors like an accident, surgery, severe illness, etc. This is also usually a temporary condition. Constantly wearing your hair in tight ponytails pinned up at the top, wearing hair buns, wearing your hair in multiple tight braids etc., can all cause too much stress on the hair, making it more prone to breakage and hair loss. These are weak points on the hair shafts increasing hair breakages. This is caused by too much styling - using heat to straighten hair, using curlers, using harsh chemicals on your hair and so on. Identify the triggers and avoid them. Bald patches show up on the head, usually round patches scattered around the scalp. This condition is an autoimmune disorder. The body’s immune system fails to recognize healthy hair follicles and begins to attack them as intruders. This condition may be hereditary. There are three forms of this condition the most common being Alopecia Areata or scattered patches of hair loss on the scalp. Alopecia Totalis results in complete hair loss on the scalp. Alopecia Universalis causes complete hair loss, both on the head and throughout the body, including eyebrows and eyelashes. 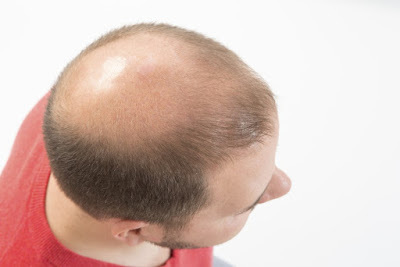 This is the most common form of baldness, more prevalent in men, but can also affect women due to hormonal imbalance. This is a hereditary form of baldness. In those who are prone to this condition, the hormone dihydrotestosterone destroys healthy hair follicles, causing permanent hair loss. This creates a pattern baldness, with receding hairlines in men, and thinning hair density in women. There are also other causes for hair loss, like fungal or bacterial infection which attack the scalp and weaken the hair follicles. Protein deficiency and other nutritional deficiencies can also lead to hair loss. Identifying the hair loss type and causes helps determine the solution for your hair loss. Depending on the severity and causes, you may just need a good hair rejuvenation treatment. In severe baldness, you may have to go for hair transplant. If you are looking for hair revitalizing and hair regrowth solutions, visit Kaya Clinic. A consultation session will involve hair and scalp examination, and identifying the type of hair loss and the root cause. Kaya has many hair restoration therapies, hair care products, and also offers a hair regrowth by hair transplant treatment. Kaya uses the Follicuar Unit Extraction method for hair transplantation.